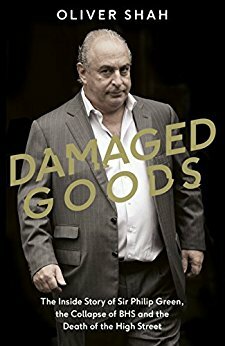 Radio Times have revealed that Poldark producers Mammoth Screen have optioned Sunday Times journalist Oliver Shah’s bestselling book, Damaged Goods: The Inside Story of Sir Philip Green, the Collapse of BHS and the Death of the HighStreet, with a view to developing it into a TV series. It is understood that that names being touted to play Sir Philip Green among casting agents include Gary Oldman and Wolf Hall star Mark Rylance. Mammoth Screen is currently developing scripts with a view to finding a broadcaster.